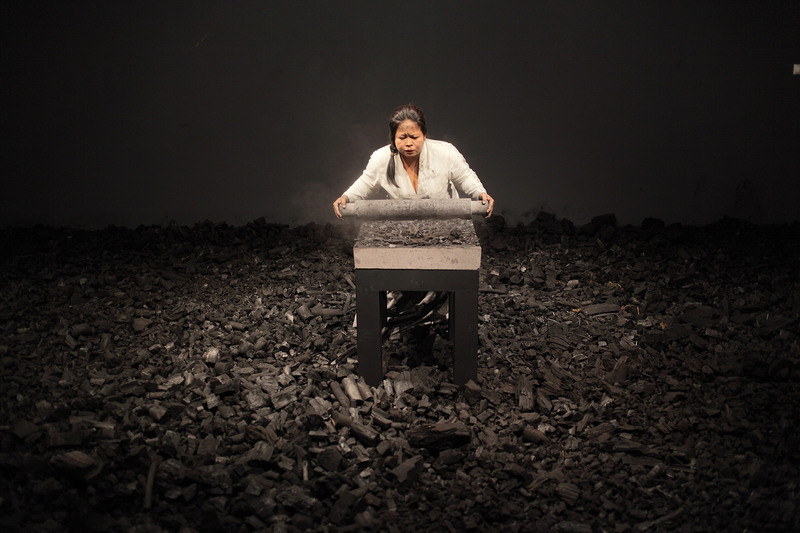 Melati Suryodarmo's I'm a Ghost in My Own House 2012 is a 12-hour endurance performance piece in which the artist crushes and grinds hundreds of kilograms of charcoal briquettes into powder and dust. 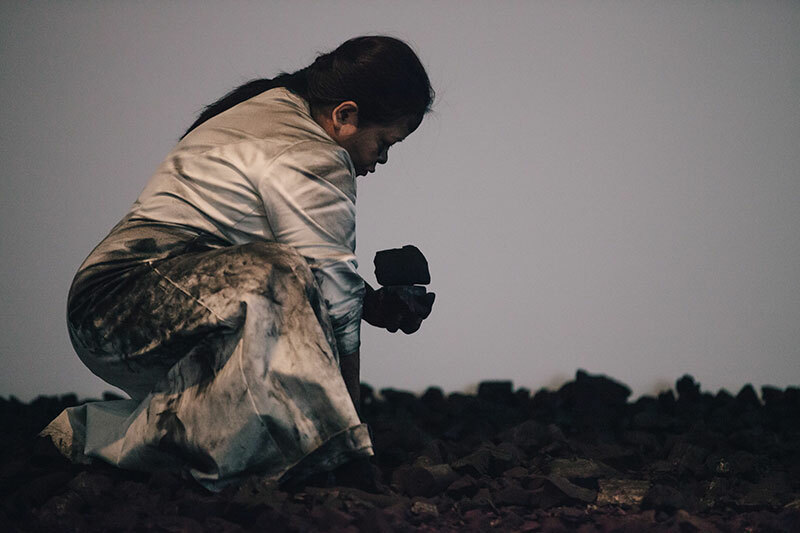 Suryodarmo trained in Butoh dance with choreographer Anzu Furukana and in long durational performance with artist Marina Abramović. 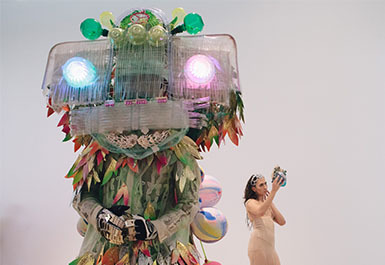 She uses this physical training to give enormous energy to her performances, which employ movement and gestures to reflect on themes of alienation and belonging. 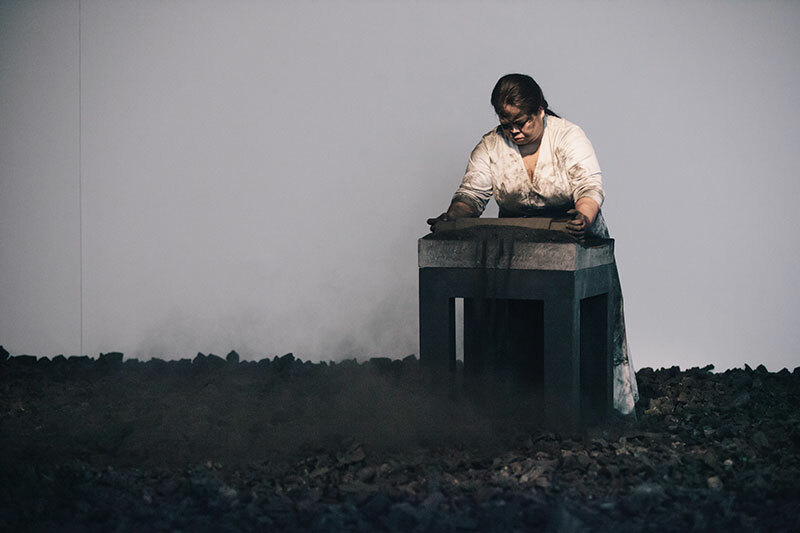 As the performance proceeds, her white dress becomes increasingly grey with dust and the residue of the charcoal piles around her. 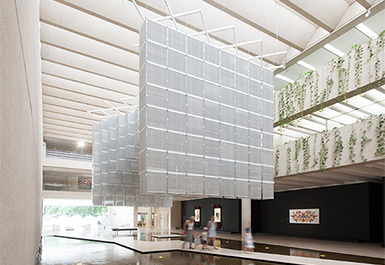 Suryodarmo chose charcoal as a significant material, as its passage from tree, to wood, to charcoal and to dust, serves as a symbol of life's energy, of a process of 'liberation, catharsis and death'. 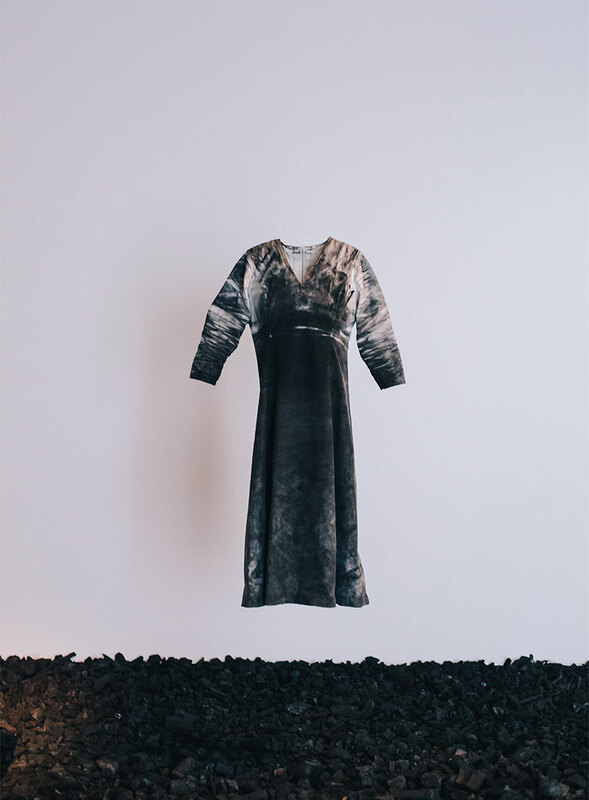 After her performance, the charcoal dust and her once white dress exist as a residual presence in the gallery. 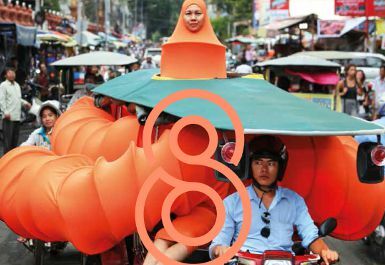 Melati Suryodarmo, Indonesia, b.1969 / I'm a Ghost in My Own House 2015 / 12 hour performance, mixed media installation and single-channel video / Documentation of performance staged in APT8. Melati Suryodarmo, Indonesia, b.1969 / I'm a Ghost in My Own House 2015 / 12 hour performance, mixed media installation and single-channel video / Documentation of performance staged in APT8 / © The artist.